This Daytona engine was rebuilt for our Daytona Spider restoration project car and tested. With minimal modification, this engine made good power and torque. This shows what can be done to increase power without losing any drivability or the original appearance. 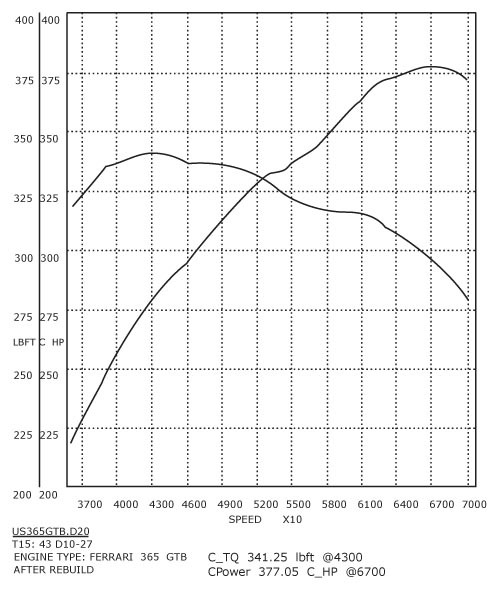 Note torque was increased throughout the speed range. This is a smooth, powerful and easy to drive combination.